We have all had the frustration of feeling underpaid and overworked, all while fielding requests to cut pricing – so how can we comprehend raising prices? So many of us fear even the thought of raising prices. Why? Well, in an industry where pricing and other factors are not regulated, and services are often subjective, it can be easy to under-value the services that you provide. You may have set your prices early on in your business, without fully understanding the ins and outs of each service, or the industry as a whole. You may have felt that you should be charging less than your competition, due to inexperience (which of course is NOT a great pricing strategy, but that’s for another post). You are likely afraid that by raising prices, you will stand to lose a long-standing and loyal client, or turn off potential new clients. Before raising my own home staging consultation fees, I needed to do an evaluation. How much did I want to raise my fees by? To determine this, I calculated how much time I spent on each project, as well as what my expenses were (both direct and indirect). This is something that your accountant can help you with, but it’s really quite simple – all you need to do is sum up any material costs, labour fees, and your own time. Your accountant can provide you with a general overhead cost based on your annual expenses. Next, I outlined the value that I provided, in order to determine how much money I felt that I needed to make in order to feel that my time spent was valuable. I also reviewed competitors to see where our current pricing structure fell in relation. How many consultations would I need to do to make the same amount of money? Ok, bear with me, we need to do a little math. Let’s say that you charge $200 for a consultation, and want to raise your prices to $250 (please note that these prices are not intended to be guidelines of what your prices should be, and are simply intended as an example for the purposes of this exercise). At $200, in order to make $1000 in a week, you need to provide 5 consultations. At the new price of $250, you would only need to provide 4 of these. What does this mean? It means that you can afford to lose 1 consultation a week, (or 20% of your clients) and still bring in the same amount of money, while also giving you more time to spend on other aspects of your business. Play with these numbers until you get to one that you’re comfortable with. Once I determined how much I wanted to raise my prices by, I set out to create a plan of action, including setting a timeline to implement the change, and introducing the increase to my current client base. Every home stager works differently, and as such, they each provide variations of a standard home staging consultation. So why is it that despite what our consultation includes, we feel that we should all be priced the same? You will always have price shoppers – you know, the clients that are looking for the cheapest and quickest fix to any problem, but that doesn’t mean that they need to be your clients. By changing my pricing structure, and raising my prices, I began to attract a better quality client, and was able to provide a better quality of service to each of my clients. What do your consultations currently include? Is there anything that is included that could be removed, while still providing a full-service consultation? Is there anything that could be added to increase the value (think of what you could add that would not significantly impact you financially)? There were a number of aspects of my home staging consultations that were of great value, but not appreciated by some of my clients. Meanwhile other agents were asking how they could add more value to the staging services that we provided to their clients. If you have ever signed up for any sort of “plan” or “package” (cell phone company, online cloud storage, etc. ), you have probably seen a tiered pricing structure. I realized that this worked well for these companies, and so I adapted it into my pricing structure. The reality is that there will always be those clients that want the cheapest, quickest, and easiest. While these may not be my ideal client, it doesn’t mean that I want to turn away a paying client, especially because these are often the real estate agents that are doing the greatest volume of business. Subject: BTSH Introduces 2 NEW Home Staging Consultation services!! 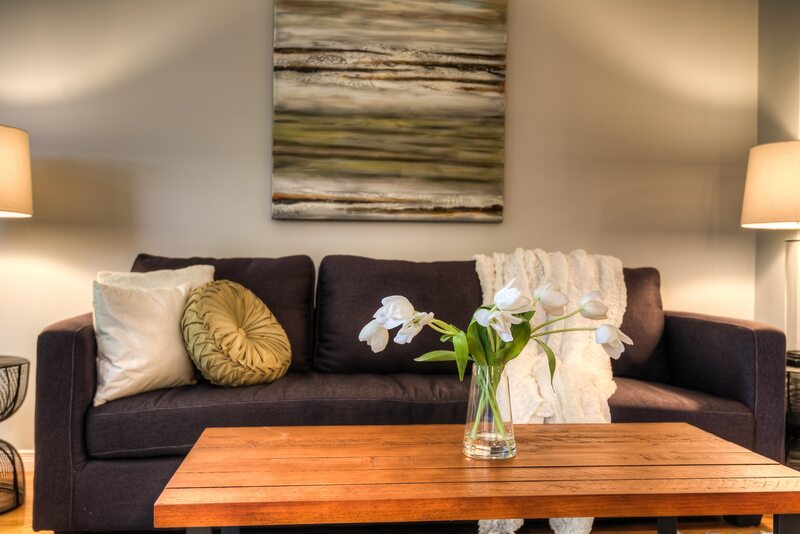 Over the last several years, BTSH has worked to continually improve the quality of the services that we provide and we are excited to announce two new versions of our current home staging consultation services! We appreciate your on-going support, and for making us your #1 choice in Waterloo Region, so we want to ensure that we continue to offer you both quality and value when you invest in Home Staging. You spoke, and we listened – based on feedback from our clients, including both homeowners and real estate agents, we will be rolling out our new consultations starting <date starting>. Now with 3 comprehensive home staging consultation packages available, we’re sure to have one that suits your client’s needs. Notice that we didn’t say anywhere in that email that we are raising prices? When evaluating whether or not to raise your prices, I want you to think about this – who is holding you back from raising your prices? We all have that client that makes a lot of noise any time we enforce a policy, or introduce something new to our business. Think about this – 80% of your business comes from 20% of your clients. And 80% of your stress comes from 20% of your clients. Sometimes you just have to shut out the noise and do what is best for you and your business. Need more help with outlining your service and pricing? Check out SLS Academy’s Business of Staging course, designed with all things business in mind.